The news of Duchess’s second pregnancy in 2014 was unexpected but a happy news that gave the nation to wait and celebrate something. 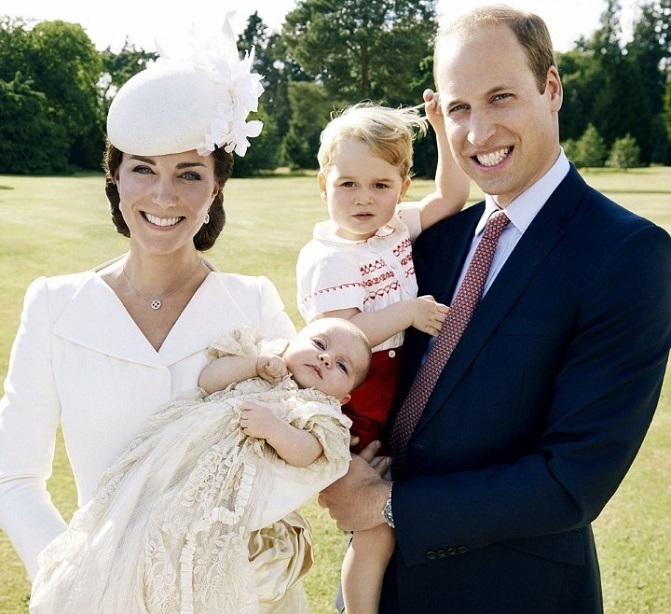 Apart from welcoming their second baby, William and Catherine were looking forward to many things in 2015. 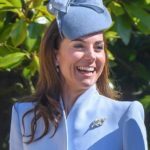 Like every year, Cambridges maintained their annual Mustique vacation tradition this year too, with celebrating special milestone of Middleton Family – Carole Middleton turned 60 in January 2015. It is believed that family usually stays at Aurora Villa at Mustique. 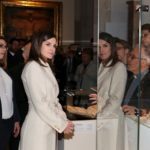 The Duchess who was expecting her second child in May undertook series of engagements in January and February ceasing the critics complaint of her being work shy. On March 02 2015, Duchess visited Goring Hotel to mark its 105th birthday celebration. The hotel has a special memories of Duchess’ life as she spend her last night as single woman in the hotel with her family before her wedding with Prince William in 2011. Duchess wore a pretty Erdem floral-print dress, Alexander McQueen navy suede pumps, Stuart Weitzman Muse clutch and Aquamarine and diamond earrings. 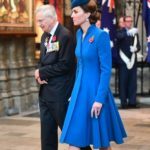 Catherine joined the royal family for the first time in March for the Commonwealth Observance at Westminster Abbey. Duchess debuted Beulah London Chiara coat with matching navy hat, Alexander McQueen navy suede pumps, Cornelia James gloves, G Collins & Sons earrings and pendants and carried her Russell and Bromley Muse Clutch. April was Catherine’s maternity leave before welcoming her second baby and the second time the great-Kate-wait was going to start. On May 02, 2015 Kensington palace announced that Duchess had been admitted to the St. Mary’s hospital in Paddington in the early stages of the labour. 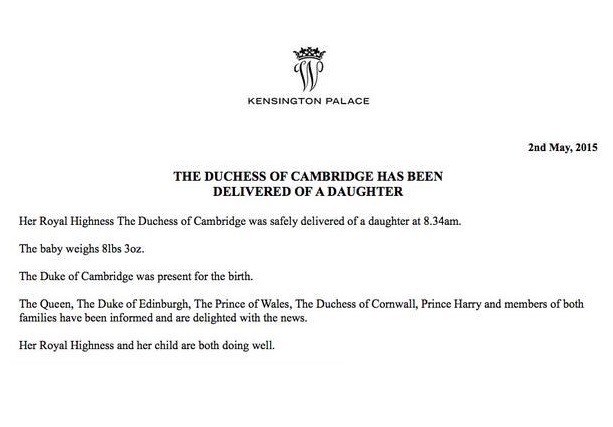 After wait of hours, Palace announced that Duchess gave birth to healthy baby girl. Keeping up with his father’s tradition, Prince William brought Prince George to meet his baby sister at the hospital. 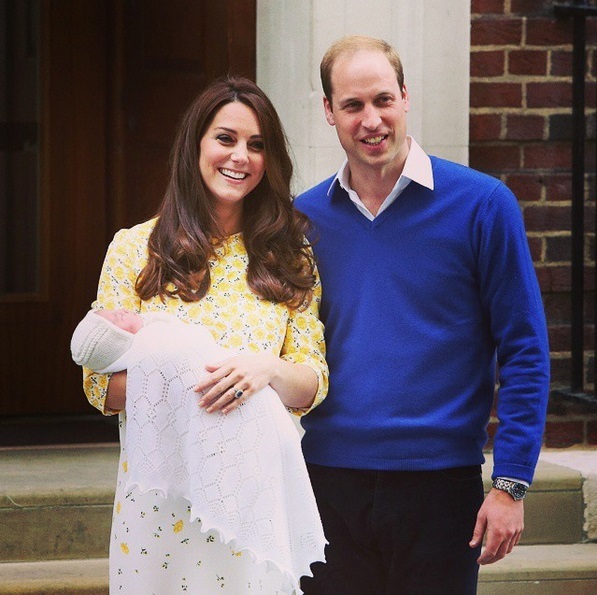 On the same evening, Catherine and William were standing outside the door of Lindo Wing once again, this time introducing the future Princess Royal of the British Royal Family. Couple proudly introduced ‘Her Royal Highness Princess Charlotte Elizabeth Diana of Cambridge’ to the world (at that time called Princess of Cambridge as name was announced few days later). Just after 12 hours of giving birth to her daughter, Duchess stepped out in yellow Jenny Packham dress with her daughter. She paired the dress with Jimmy Choo Gilbert pumps and Annoushka pearls. The couple announced the name of their daughter few days later. After meeting the Royal Family and Middleton clan the couple took their young kids to their country Home Anmer Hall, away from the public and media eyes. 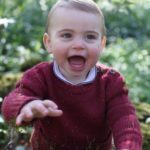 William and Catherine marked the birth of Princess Charlotte and Prince George’s second birthday by releasing 4 pictures of George and Charlotte taken by Duchess. In June, Prince George made her first balcony appearance in the arms of his father at the Trooping the Colour Parade wearing same outfit that William wore in 1984 for his first Trooping the Colour Parade Balcony appearance. 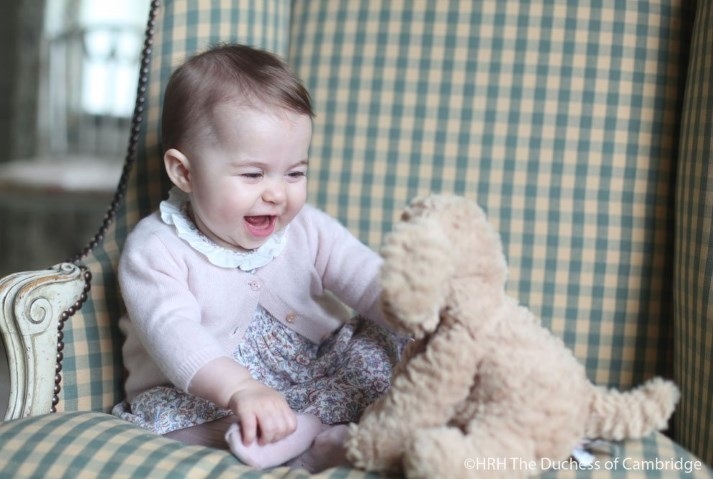 on July 05, Princess Charlotte was christened at St. Mary Magdalene Church on the Sandringham estate in Norfolk. 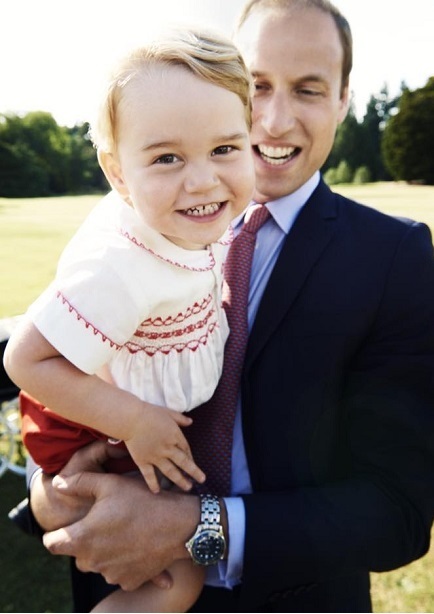 Mario Testino took the official christening portraits at Sandringham. October brought the first State Banquet for Duchess. She joined royal family to welcome the President Xi of China at Buckingham Palace. Duchess wore stunning red Jenny Packham gown and once again brought Queen Mother’s Papyrus Flower tiara usually known as Lotus tiara with Queen’s diamond chandelier earrings and Diamond bracelet made from diamond tiara that once belonged to Prince Philip’s Mother. Duchess joined her husband and Prince Harry at the Spectre première wearing a beautiful sheer Jenny Packham gown. She paired the stunning gown with Jimmy Choo Vamp sandals, Jenny Packham Casa Clutch and Robinson Pelham pagoda earrings, that her mother wore at royal wedding reception in 2011. 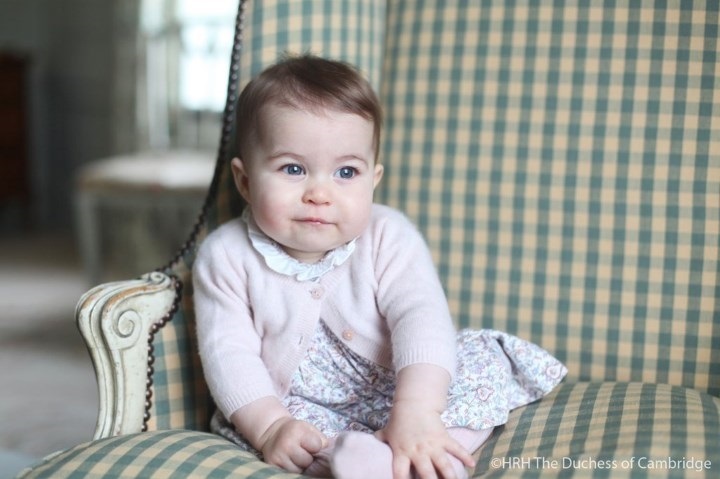 In November, the couple released adorable portrait of Princess Charlotte taken by Duchess at Anmer Hall. On December 08 2015 Duchess debuted another tiara. She wore princess Diana’s favourite Queen Mary’s Lover’s Knot tiara for a diplomatic reception at Buckingham Palace. Duchess wore same Alexander McQueen Ice Blue gown she wore for 2013 Diplomatic Reception with Queen’s Chandelier earrings, diamond bracelet. After Queen’s pre-christmas Lunch, Duchess received the patronage of the RAF Air Cadets from Duke of Edinburgh. 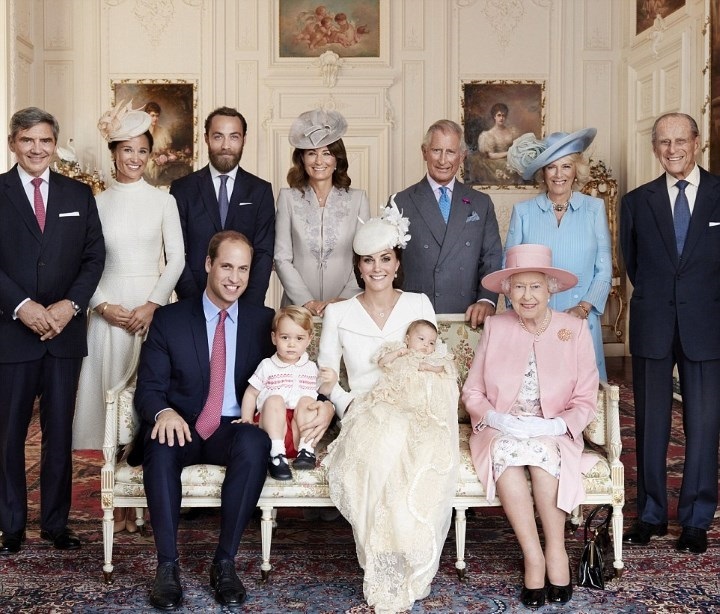 To mark the Christmas, The Duke and Duchess released the family portrait taken by Chris Jelf at Kensington Palace. The couple used the same photograph for that year’s Christmas cards.